Insight with Beth Ruyak is a live news and entertainment program from Capital Public Radio in Sacramento, California. Beth Ruyak has hosted the hour-long, weekday show since 2012, along with the station’s breaking news coverage and special political events. 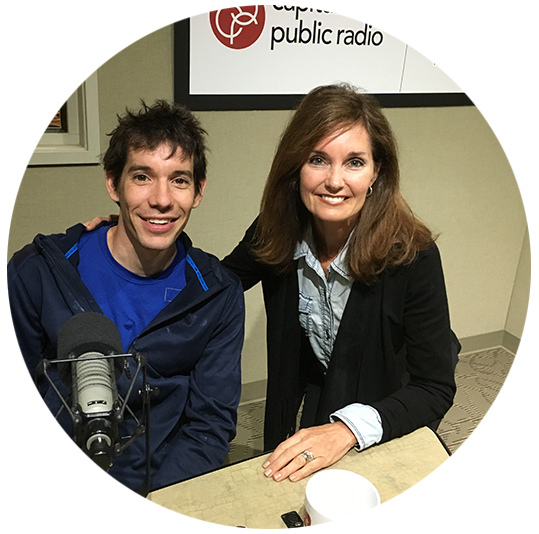 Alex Honnold shares his experience filming his new documentary ‘Free Solo’ on Insight with Beth Ruyak. Watch the Free Solo Trailer here.